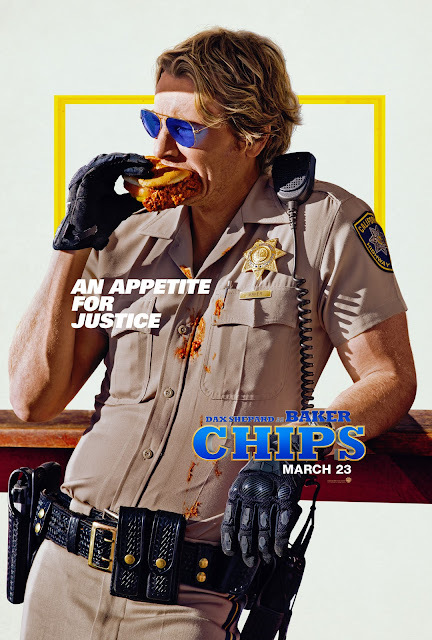 Warner Bros. Pictures has just launched the hilarious character posters for its upcoming action comedy CHIPS. 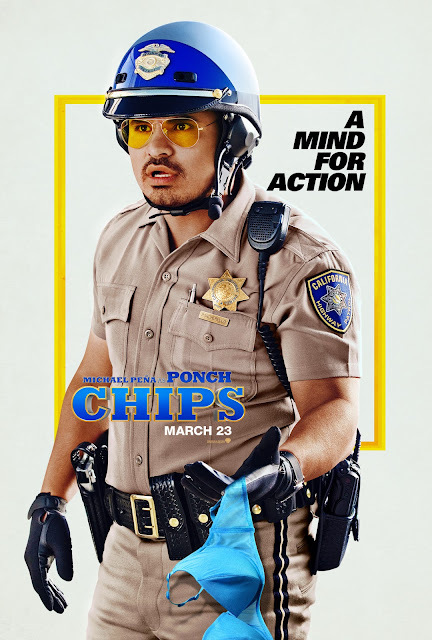 The one-sheets individually show Dax Shepard (TV’s Parenthood) and Michael Peña (The Martian, Ant-Man) donning the iconic highway patrol uniform, and may be seen below. Shepard also directs from a script he penned based on the characters from the popular ‘70s television series created by Rick Rosner. In the film, Jon Baker (Shepard) and Frank “Ponch” Poncherello (Peña) have just joined the California Highway Patrol (CHP) in Los Angeles but for very different reasons. Baker is a beaten up pro motorbiker trying to put his life and marriage back together. Poncherello is a cocky undercover Federal agent investigating a multi-million dollar heist that may be an inside job—inside the CHP. The inexperienced rookie and hardened pro are teamed together, but clash more than click, so kickstarting a partnership is easier said than done. But with Baker’s bike skills combined with Ponch’s street savvy it might just work…if they don’t drive each other crazy along the way. Also starring are Rosa Salazar (Insurgent), Adam Brody (Think Like a Man Too), Kristen Bell (Frozen), and Vincent D’Onofrio (Jurassic World). Opening across the Philippines on Thursday, March 23, CHIPS is distributed by Warner Bros. Pictures, a Warner Bros. Entertainment company.